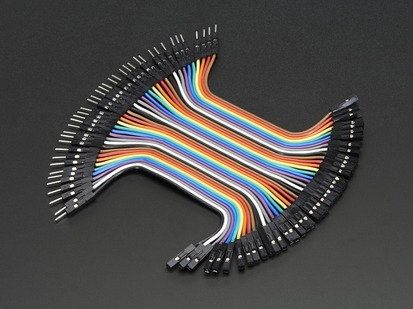 Handy for making wire harnesses or jumpering between headers on PCB's. 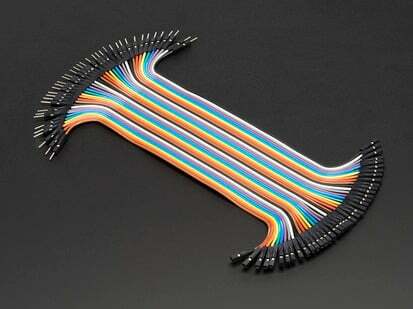 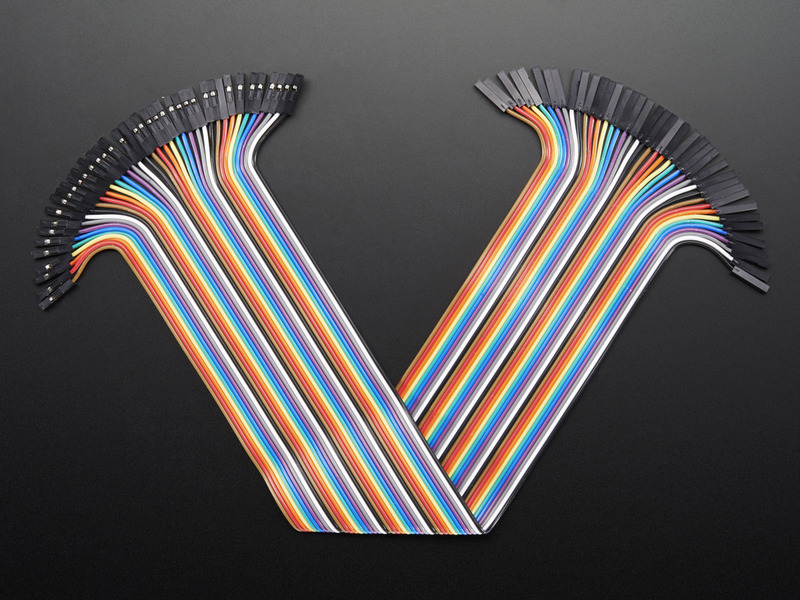 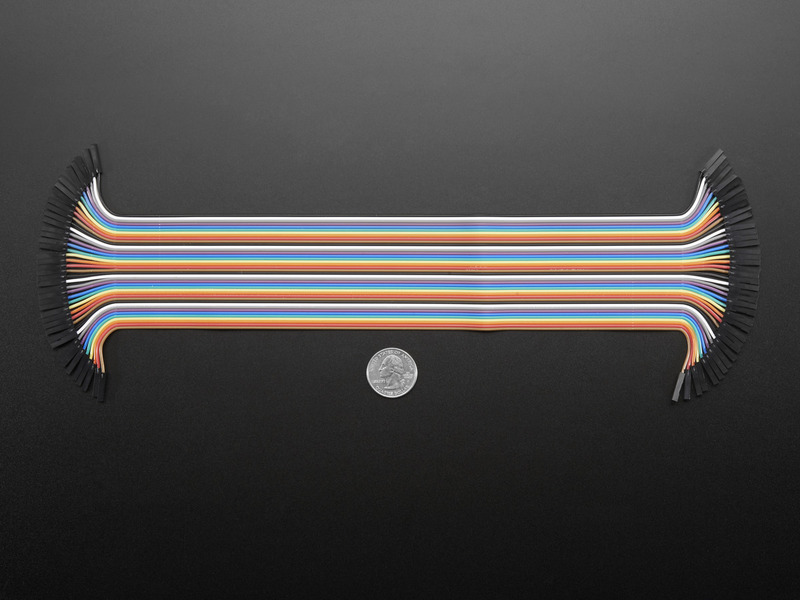 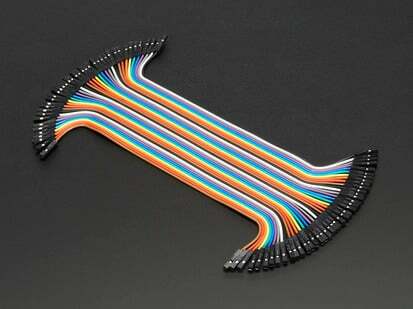 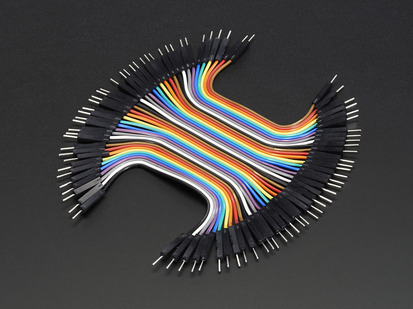 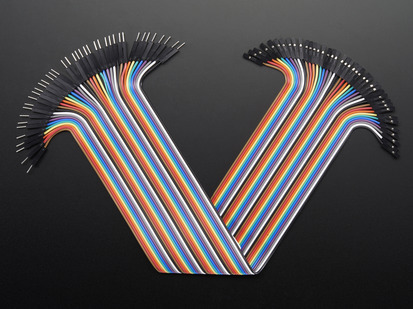 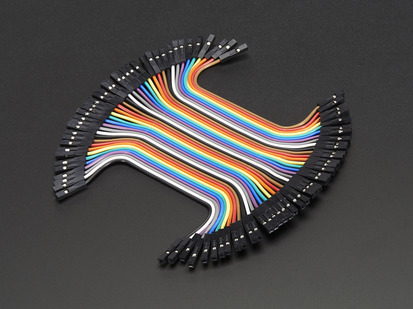 These premium jumper wires are 12" (300mm) long and come in a 'strip' of 40 (4 pieces of each of ten rainbow colors). They have 0.1" female header contacts on either end and fit cleanly next to each other on standard-pitch 0.1" (2.54mm) header. 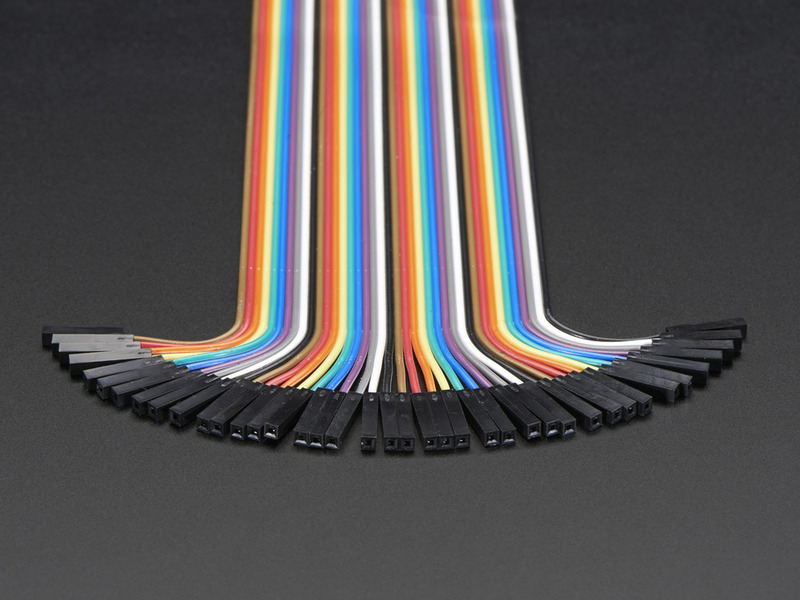 The best part is they come in a 40-pin ribbon cable. 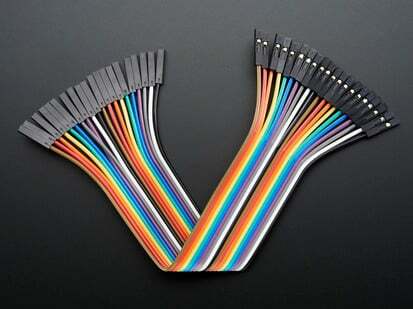 You can always pull the ribbon wires off to make individual jumpers, or keep them together to make neatly organized wire harnesses. 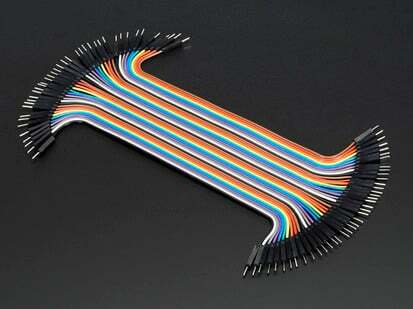 We have these in three handy lengths: 3"/75mm, 6"/160mm and 12"/300mm. 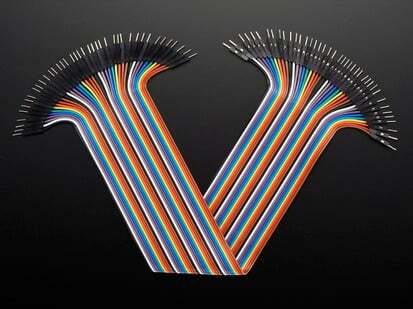 If you want the male/male type, we have those too!